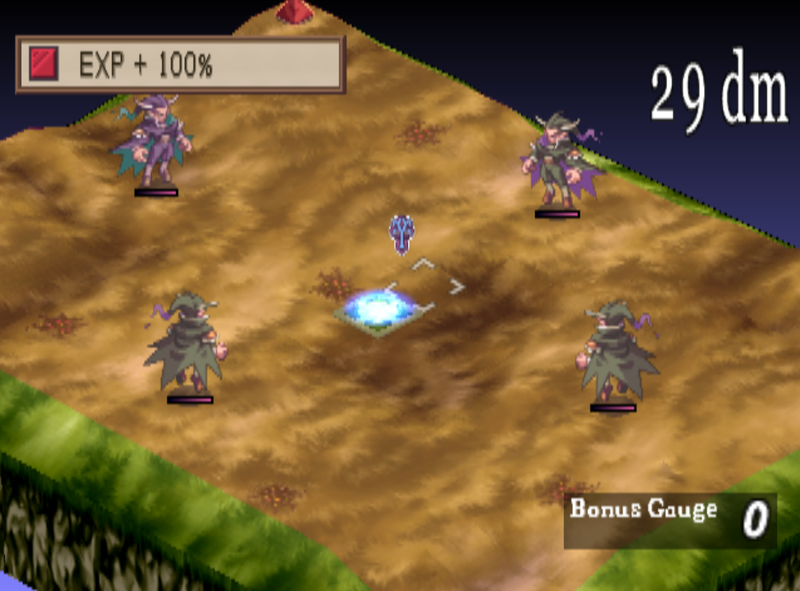 The best location for players to power level their team during the regular story is in Celestia on the very first map. Your first time here you'll fight three Vampire enemies and Mid-Boss; after your first clear of this map it'll always be four vampire enemies instead of Mid-Boss. Kind of like Forest of the Dead before it, this map benefits from a 100% bonus EXP Geosymbol, which covers every single ground tile! Unlike Forest of the Dead though, which only started the enemies on those tiles. 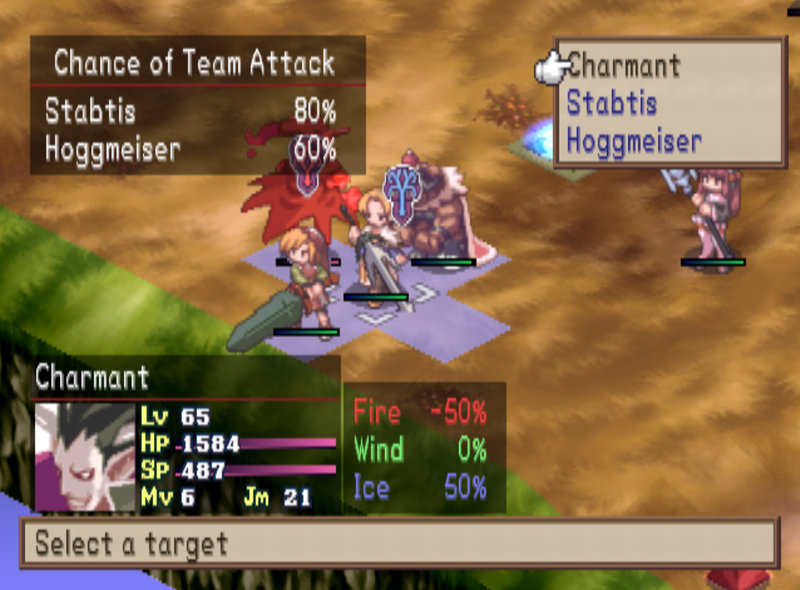 As for the enemies levels... Three of them are level 65, with the main guy who stands in Mid-Boss' place being level 70. That's before passing any bills to raise their levels. Unlike the previous power leveling maps, this one takes a bit different of an approach. Typically I take out the three lower level Vampires with one hit from one of my powerful characters. I place any characters that I would like to share the EXP with standing next to or behind the character doing the slaying. You're probably familiar with this sort of thing by now, but when character's stand next to each other it gives them a chance to do a combo attack. From my personal experience Monks(fist users) have the highest % chance of sharing in a combo attack with people around them, as do Story characters. Whenever character's share in a combo attack, the EXP is split between them even if the other character's miss or hit for 0 damage. On this map if you place a level 1 character next to the guy who gets the killing blow and they share in the EXP, he'll immediately go from level 1 to 22! In my personal opinion out of all the maps available for power leveling, this map is the easiest to get a character from 1 to 100 because of their ability to share in on the EXP from a combo attack. You can have a total of four characters participating in a combo attack, casters have a much lower chance of being a part of any combo attack, usually 30 - 40% is the percentage chance they have to join in on an attack. For this reason, I would recommend the Forest of the Dead or Cave of Ordeals <Insert Links> map for leveling casters. Both these maps are much more well equipped for any characters with AoE attacks; if they're too low in level for either of these maps then it's best to have them participate in a few combo attacks on this map first for a couple dozen levels. Another big tip I can give people is after you defeat the enemy, the characters who are extremely low level that you were using solely to participate in the combo attacks, press circle while hovering over them to send them back to the base. Assuming all you did is move them to that position on the map, you'll be allowed to do this with no negative consequences. What this means too is you can have the same 1 character participate in all three kills on the map by sending him back to the base after each enemy defeat. This of course leaves one enemy that's left which I haven't talked much about yet. The highest level Vampire is far away from your base and tough to reach for any characters who can't move across many blocks. For this reason I typically handle things a bit differently. I either take out a caster or scout with a gun and blast him away or I End Turn and let him get closer to my base then I swarm him and take him out with melee.